Worldwide elimination of malaria would save hundreds of thousands of lives each year, according to the World Health Organization (WHO). But eradication remains elusive, because the parasite that causes the disease can evolve to withstand the effects of new malaria drugs and become drug-resistant. Researchers, however, now believe they have discovered a way to track the spread of drug-resistant malaria, and this discovery may help to finally eradicate the disease. Their study was recently published in the journal Nature Genetics. Resistance to artemisinins - the group of drugs doctors currently use to treat malaria - has been noticed in Cambodia in recent years, sparking concern that an untreatable type of malaria could spread worldwide. But an international team of researchers says it has identified unique genetic fingerprints for artemisinin-resistant strains of the parasite. This, they say, may help detect and contain this hard-to-treat form of malaria before it spreads worldwide. They remain unsure, however, how soon humans might benefit. Researchers looked at the genes of 825 malaria-causing parasites collected from 10 locations across Africa and Southeast Asia. They found three previously undiscovered artemisinin-resistant strains of the parasite in western Cambodia. Each had a specific genetic makeup not seen in any other type of malaria-causing parasite. This identification of genetic fingerprints specific to artemisinin-resistant malaria parasites is a significant step towards tracking and eventually stopping the spread of this type of malaria, said White. In the future, the genetic fingerprints identified by the researchers could be used to create a blood test that may predict whether someone with malaria will respond to treatment with artemisinin, said WHO Global Malaria Program coordinator Dr. Pascal Ringwald. “Being able to test people in this way should quickly reveal which parts of the world the resistance has spread to,” said Ringwald. Scientists can then push strategies, such as compulsory use of preventive medicines for travelers coming into these areas, to keep this type of malaria from moving beyond these areas, he added. The WHO reports that global deaths from malaria have fallen by more than 25% since 2000, but around 3.3 billion people remain at risk of the disease – most of them children younger than 5. Just seed the environment with sterilized male mosquitos and the population will collapse quickly. That could bring about unforeseen consequences? You've really changed my way of thinking on more than a few topics that I've taken for granted for most of my adult life. You got to keep doing what you are doing. How do you believe current events will affect the world in the coming years? This is a very good tip, especially to people fresh to the issue. My bff is trying to learn more on this issue. It's funny I believed I knew what I was talking about before reading your work but it turns out I am a dummy. It's just a bit more complicated than that, dear. Malaria is an intracellular parasite that lives in our red blood cells. The immune system rarely has an opportunity to see the parasite. The parasite spreads to other red cells in dramatic fashion, with all the infected cells bursting at once, thus overwhelming the immune system. If a vaccine was possible, do you really think you would be the first to think of it? Just google malaria vaccine you will see this is already an intense area of research. If it was easy we would have had it 50 years ago. The test was conducted by the International Red Cross, the Uganda Red Cross, the local health authorities, and other Ugandan scientists and laboratories. Total scientific testing was maintained throughout the 4-day operation. There were doctors to sign off on the blood tests, malaria test strips to show malaria, and official microscope technicians to even verify the number of malaria parasites present in each malaria victim. The microscope technicians have officially identified malaria parasites on a daily basis. Other personnel present were nurses to help the doctors, video technicians, people to serve as observers and various other personnel. Klaas Proesmans came to our seminar in Mexico that teaches the use of chlorine dioxide to cure diseases. He arrived here in Mexico about 2 months before the actual clinical trial of the 4 days that was from the 11th to the 16th of December, 2012, in Uganda. He said to me at that time that he really didn’t think chlorine dioxide worked to cure diseases but he felt it was his job to prove it one way or the other. At the time of this clinical trial many diseases were treated, but the disease of interest was malaria. And 154 cases of malaria were given doses of MMS which, of course, was chlorine dioxide. All 154 cases were free of malaria within 24 hours of taking the dose, with only 11 cases requiring a second dose. This was all recorded on DVD and on paper with signatures of doctors and technicians. There was no chance of mistake. One hundred and fifty-four cases of malaria were made well. We have the original DVD’s, plus copies of the DVD’s, copies of the signatures or even actual signatures, as well as copies of all papers and signatures of those who were cured. All of this will be recorded on YouTube with the exception of the signatures of the malaria victims, as that takes individual permission, but the signatures are available for use in court if needed. 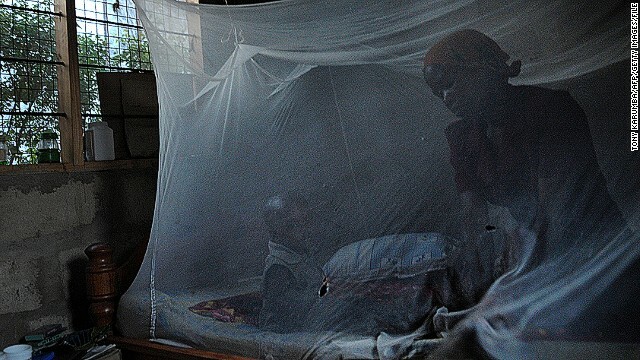 More than 3000 children die from malaria every day. Science has proven again and again that it can solve any problem presented to it. The idea that we need to allow our children to suffer to their death because there are too many people on Earth is totally repugnant, but there are people who suggest it. I know that there are medical people who would spend years testing MMS while children and adults die from malaria, but ask any one of those who are dying if they would rather die than maybe have some minor side effect that has not yet shown up. And of course you will find that no one wants that. So since I have already tested it for 15 years, are we going to go ahead and save those 3000 who die each day or do we spend another year testing while more than 1 million die from malaria? You know the answer to that. We have to save all that we can save right now. But the real question is, WHAT IS THE RED CROSS GOING TO DO? Let me ask you again but a little more to the point. Please, please, send this NEWSLETTER out to as many people as you can. This is one of those few times that what you do will make a difference. No matter who you are or where you are, if you will send out this newsletter to friends and just anyone, the chances are 99% that you will affect at least one life in Africa. They could be saved and that would be at least one person who no longer need suffer. And chances are very high it would be a lot more. And maybe, just maybe, the letter you send out will go to the right person and it will cause a million lives to be saved. Please understand. Right now we are dealing in human lives. This NEWSLETTER is dealing in lives. What you do now will determine how many live and how many die. And I mean you. Of course, I know there are thousands of others besides you, but you will still have a direct effect. I am not begging for a few dollars, or a couple of dimes. I am asking you for someone’s life that will cost you only a few moments of your time. THE RED CROSS HAS HAD THE ANSWER TO SAVING THOSE LIVES FOR 5 MONTHS NOW AND NOT A SINGLE LIFE SAVED SINCE THE TESTING. If enough people learn about this, a voice will go up loud enough to get something done, and there will be people who want to do things themselves to help. If you have never sent any kind of a humanitarian letter anywhere, and if you have never given a beggar a dime, or helped an old lady across the street, and you will never do a thing in the future in a humanitarian way, now is the time to do just this one thing. Do something; send this letter out to as many people as you can. That’s all I am asking, send this letter out, please. 2. Zero Fusion and Atomic Alchemy – Read more. In this book which includes a free set of videos where Archbishop Jim shows you how to reduce radiation to zero, and make gold in the process. As with the discovery of MMS this particular book is absolutely revolutionary and could clean up the worlds atomic waste sites if given the chance. Read more. The government knows that the world cannot sustain the world population. This goes back to pop. density and predator prey connections. It is repulsive to kill people just 'cuz, but what can we really do.... As more people are here, the viruses of any will multiply much faster.., think about ebola, SARS, etc. Yeah, drinking concentrated bleach is the cure for malaria. "Being strongly suppressed" by whom? It seems to be all over the Internet. I'm sure when the success has been corroborated by other medical folks we'll see it in the headlines. It's not quite clear however what the 'trial' in that video is all about, see http://www.pepijnvanerp.nl/2013/05/fake-and-unethical-trial-video-claims-miracle-mineral-solution-cures-malaria/ In any case it is no proof at all of positive effects of using MMS, which is just dangerous. Reblogged this on My Journey in the World of Epidemiology. This blog looks just like my old one Your blog has proven super useful to me. I am trying to discover more about this topic. My dad wants to be a teacher in this subject someday. I have added your post to my Google Plus This guy I used to know likes your page. Your creative potential seems limitless. Can you tell us more about this? In my view, if all webmasters and bloggers made just right content material as you did, the web might be a lot more helpful than ever before. Hey, that is a clever way of thinking about it. My bestie said they like your posts write up. You have brought up a very superb points Somehow you make time stop and fly at the same time. Now I feel stupid. Can you tell us more about this? You should be thanked more often. I bet you sweat glitter. You always know just what to say. You have the best ideas. Guess I will just book mark this website. I love articles like this one but I find myself spending hours simply browsing and reading. You have made my day! Do you have you tube videos on the subject? I will be subscribing to your feed. I bet you sweat glitter. You have made my day! This website really sparked my couriousity. In my view, if all webmasters and bloggers made just right content material as you did, the web might be a lot more helpful than ever before. I'm really loving the theme/design of your website. Do you ever run into any internet browser compatibility problems? A few of my blog audience have complained about my website not working correctly in Explorer but looks great in Chrome. Do you have any suggestions to help fix this issue? Excellent post but I was wondering if you could write a litte more on this subject? I'd be very grateful if you could elaborate a little bit more. Appreciate it!